Manageable Monitoring Part I – Portfolio Power! Last week I had a conversation with a second grade teacher who was wondering about how to setup a manageable monitoring notes system. This is not the first time that a teacher has come to me to inquire about this and certainly not the first time that I have wondered about it myself! Before I continue, let’s clarify what exactly monitoring notes are. From my perspective, I see monitoring notes as a type of informal assessment that helps to document student learning and guide further instruction. Furthermore they are seemingly simple, yet deceivingly tricky. I mean, all you need to do is jot something down on a sticky note and stick it on a binder or on your desk for later right? Well, not really. That one sticky note or piece of paper can quickly turn into several and before you know it you don’t know which is which or what is where. Agh! When this happens, you quickly feel frustrated and wonder what the point of this whole monitoring thing is anyway. Well it definitely has a point. They not only serve as a documentation and planning tool, monitoring notes also play a key role when completing report cards, having high quality conferences with families, and in building a thorough body of knowledge in tracking student growth. Each year, I have worked on revising and adjusting my monitoring system to make it more effective. In this post and the following post I will share my top two manageable monitoring systems. Around my second year of teaching I began to wonder…”Wouldn’t student portfolios be cool!? 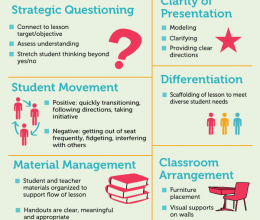 I could use them to house and organize my monitoring notes, other assessments, and even pieces students have selected themselves to show their best work! 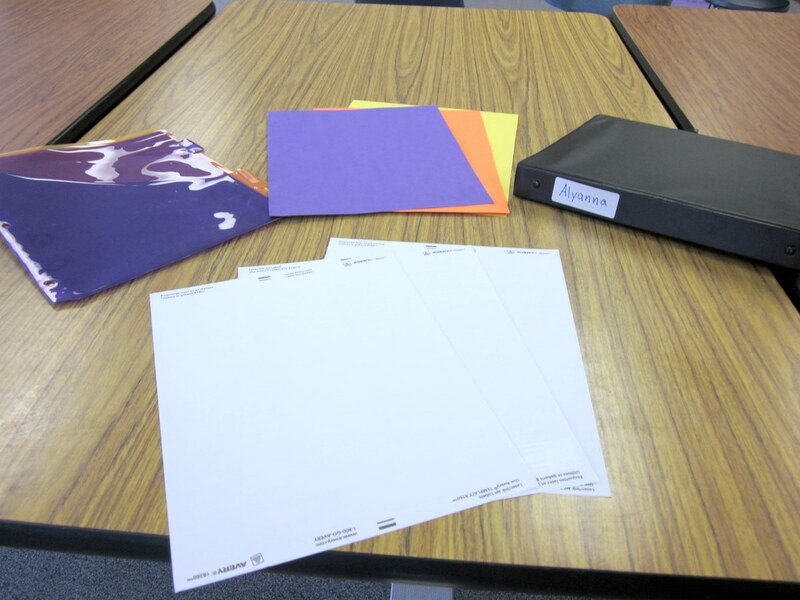 Oh, and I could even use them for student lead conferences!” Well while I had big dreams, putting these portfolios together seemed like too daunting of a task and I just couldn’t deal. At least not that year. The following year I figured out how to put it all together. Check it out! 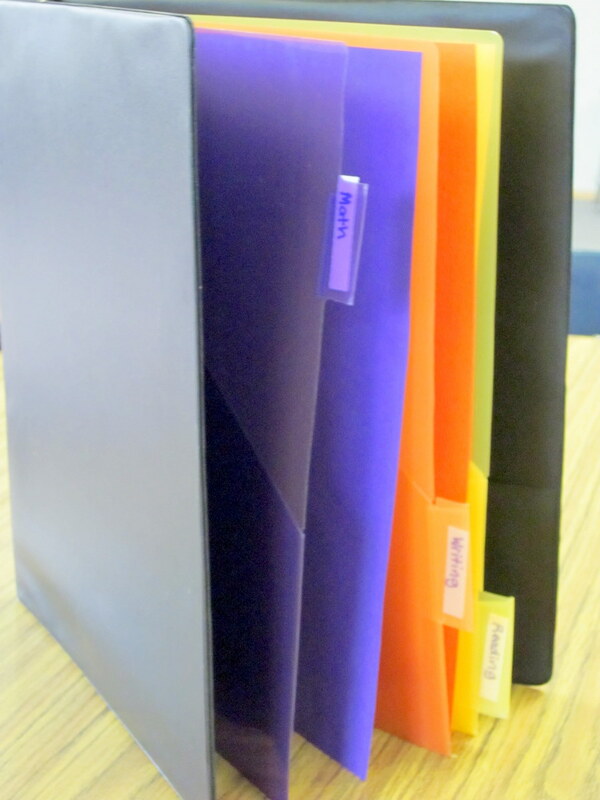 Label the dividers and put the corresponding construction paper folder behind them…done! What do you do with the mailing labels? The labels are where you will take your monitoring notes. You will need one sheet of labels for each subject you are monitoring. Write each student’s name on the labels for each subject (you can even use pen colors that match the construction paper color you’ve designated for each subject). 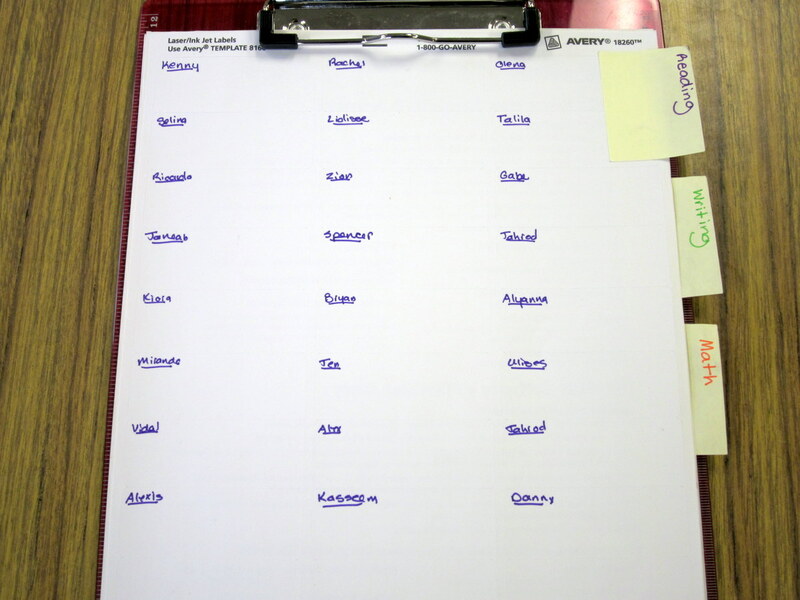 I then put these label sheets on a clipboard, dividing them with stick on tabs so that they are ready for monitoring. What are you monitoring for? The majority of your monitoring notes should be based on specific look fors tied to learning targets you’ve set for the lesson. 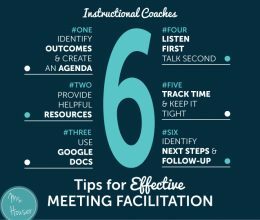 Monitoring in this way helps to focus your attention and guides next steps. Of course, other note worthy observations not connected to the learning target you make while working with students can be recorded too. 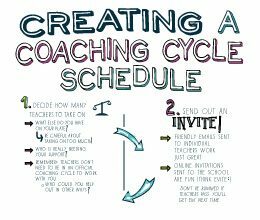 As you continue to take notes on students, you can quickly see by looking at your monitoring sheet who you have met with and who you may need to check in with. 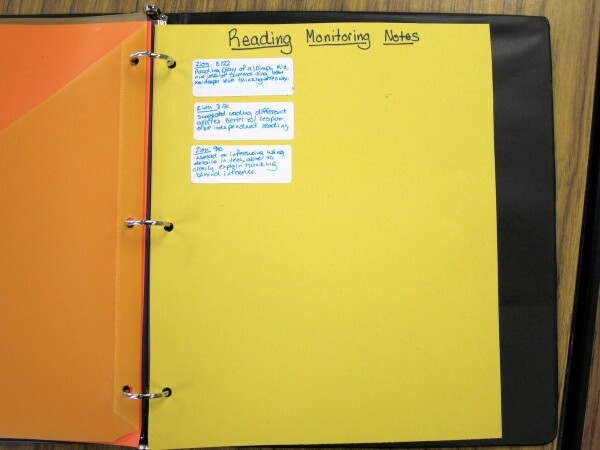 As your monitoring notes fill up, place them on the construction paper inside of student binders. What will result is a growing bank of knowledge about students in each academic area that you can use to track and report progress. 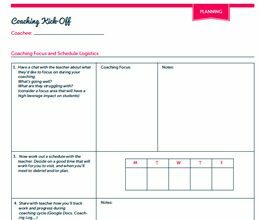 At the end of the day or the week, try to set aside a time to review your monitoring notes and use them to make adjustments to your lessons. Informed instruction = better instruction! Take the time to make monitoring student work more manageable for yourself and I’m confident you’ll be happy that you did. As always, let me know if you have other good ideas! ← Meaningful Language Development – Draw What You Hear! I love this idea. I have taken monitoring notes in the past but as you said, they get left here, there, and everywhere. I like writing the student names beforehand, but I think I would create a label template at the beginning of the year and type each name on the computer. Save a little time and it can still be printed in a color matching the page in the binder.